Dungeon Hunter Champions released: Ready to become the best? Gameloft has done it again. Dungeon Hunter Champions is a new, extremely ambitious game with great attention to detail. The new title of the famous Dungeon Hunter franchise mixes RPG and MOBA elements in a colorful world full of special effects. It's out now, so get all the details and download links below. What exactly is Dungeon Hunter Champions (DHC)? The new chapter of the series launched in 2009 by Gameloft is a spin-off rather than a sequel to Dungeon Hunter 5. The game comes to life in a colorful universe, unlike previous games, and mixes RPG elements for single player modes (PvE) with a MOBA-style 5v5 multiplayer (PvP). Dungeon Hunter Champions has hack-and-slash style features in the third person, with fast-paced and action-packed gameplay. You will only control the leader of your team as the other champions follow and act automatically. The left side of the display is for controlling the movements of your character. On the right side, you will find the buttons for basic attacks and the three specific abilities of your champion. The adventurous game is able to entertain for hours without ever getting tired or too repetitive. The ability to collect and evolve the various champions is interesting and pushes users to commit themselves to progressing and becoming increasingly stronger and more competitive. You can choose from more than 275 champions, each with different moves, spectacular animations, different roles and styles of combat. There are online rankings and a guild system for bringing friends together. In the video below, the game's developers talk about DHC and show some elements of the gameplay. DHC is free, but for those who want to speed up the adventure a bit, in-app purchases are offered. Stamina is consumed for each adventure you undertake, and you'll have to wait for it to recharge afterward. You can use in-game currency to get new stamina, improve or unlock new champions: this is where in-app purchases come into play, which can cost up to $99.99 for the most expensive package. The best free Android games: Who says you have to pay for fun? In the short time we tested the game, we didn't feel an urgent need to resort to spending any money to advance, and the system didn't seem invasive. In the long run, you might feel tempted to invest a few dollars to help yourself along. What is the true cost of 'free' apps? However, no part of the adventure is blocked behind a paywall, so you can play the whole thing without ever spending a single dollar...if you have the patience. 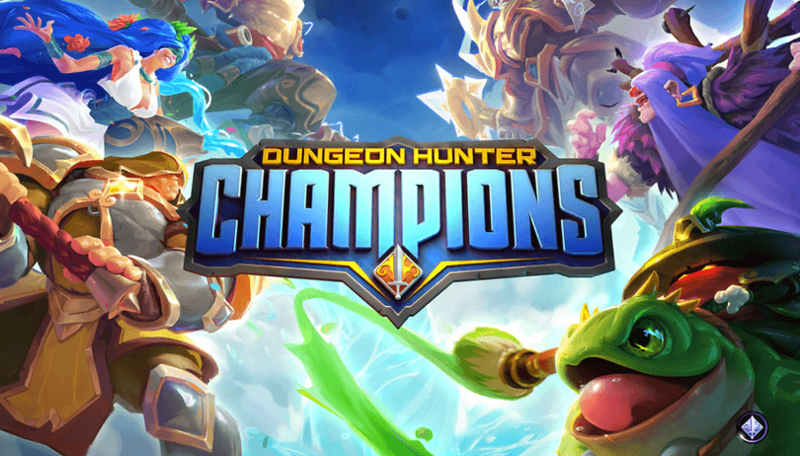 Dungeon Hunter Champions is now available on the Google Play Store and Apple App Store, and you can follow the links below to download the game. It is also available for Windows 10 on the official Microsoft store, if you want to try it on your PC. I prefer less demanding games for my smartphone. Are you ready to start your adventure? Will you download Dungeon Hunter Champions? Let us know in the comments!